Henry Schein Animal Health’s web-based pet diabetes resource center now contains a host of shareable assets designed to raise awareness, enhance understanding, and improve management of the disease among the veterinary community and pet parents. “November is Pet Diabetes Awareness Month, and there’s no better time for owners and veterinarians to discuss their pet’s health and the disease’s risk factors and warning signs,” said Fran Dirksmeier, president of Henry Schein Animal Health, North America. The online materials include articles, videos, infographics, and disease management guidelines from the American Animal Hospital Association (AAHA). Knowing the disease’s risk factors and warning signs can be critical to diagnosing diabetes early and managing the disease properly, as this can help prevent more serious medical issues, such as heart and kidney problems, severe cataracts in dogs, and hind-leg weakness in cats. Risk factors associated with diabetes in cats and dogs include age, genetics, and obesity. 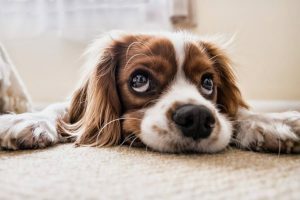 For dogs, unspayed females and certain breeds are at greater risk, while the disease is more prevalent in neutered male cats and cats getting little physical exercise.